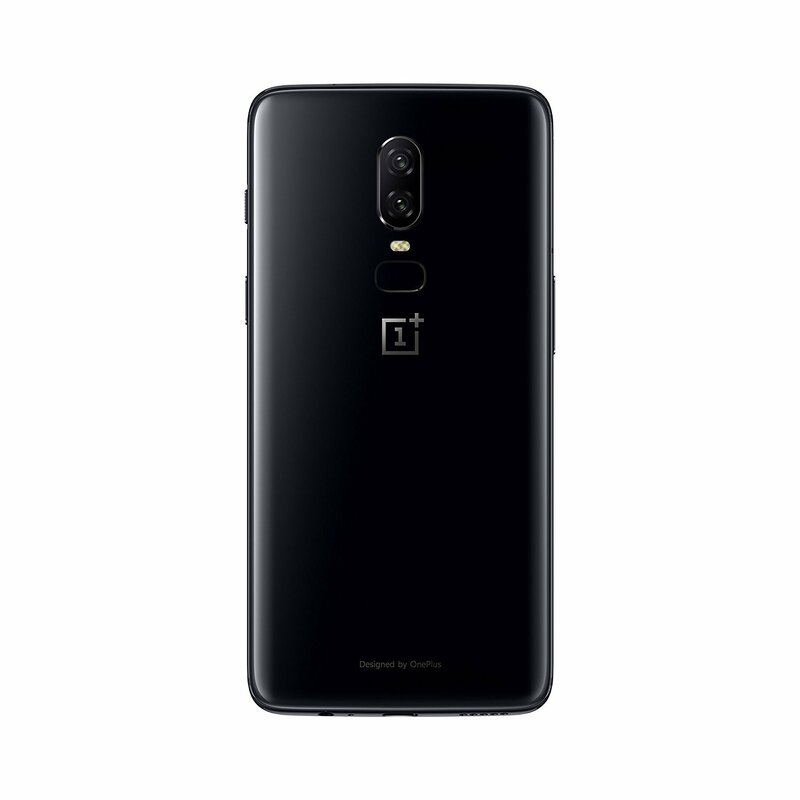 Well well, look who just leaked everything about the OnePlus 6. It’s none other than Amazon itself. The launch is happening on May 16 but looks like Amazon didn’t want to keep any more secrets. The official page for the phone was accidentally made public by Amazon Germany today, but soon after realizing the mistake, the page was taken down. Thanks to this, we now have all the official renders from the Amazon page, along with the full specifications and the pricing details for the European market. 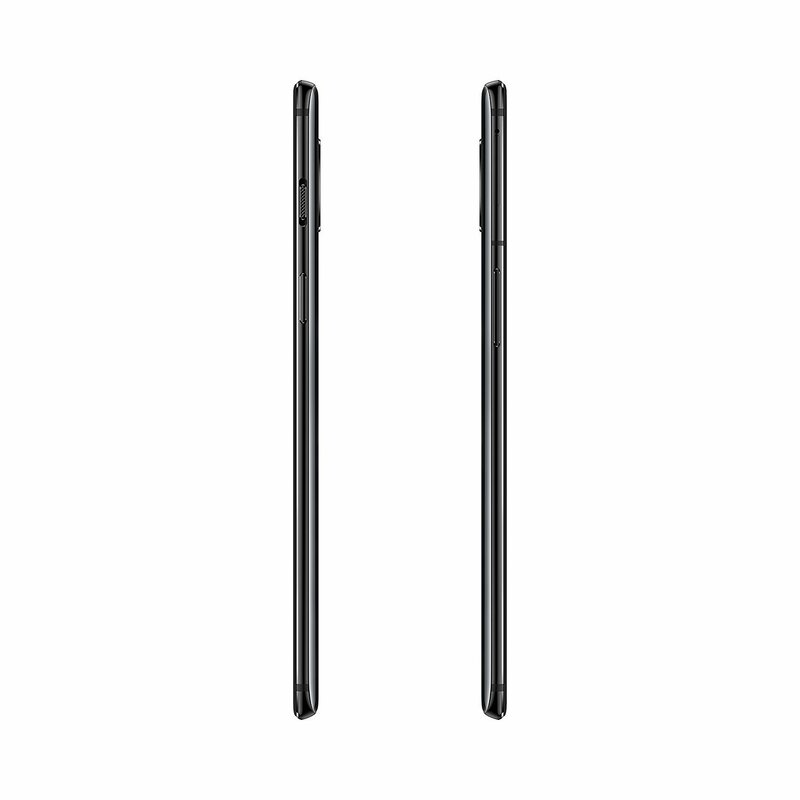 The Phone was listed on Amazon in two colour options – Midnight Black and Mirror Black. 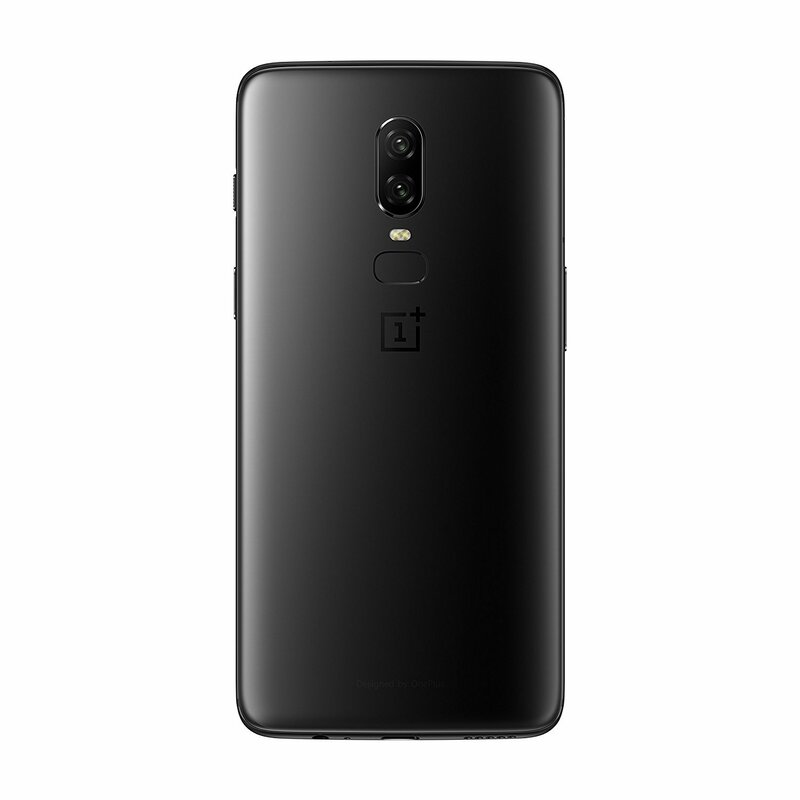 The Midnight Black, as we all know, is the Matte Black colour option but the Mirror Black is the variant with a glass back. 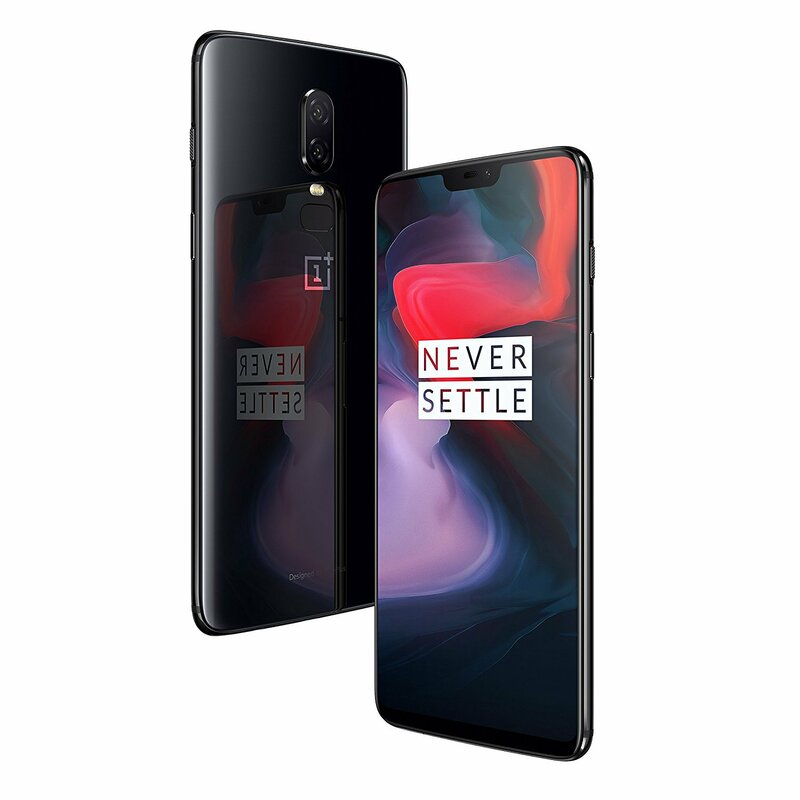 The design is exactly what the renders from OnLeaks revealed, again showing why he is considered one of the most trusted guys in the industry for tech leaks. Anyways, we already know about the design as the phone leaked a lot of time in the past. 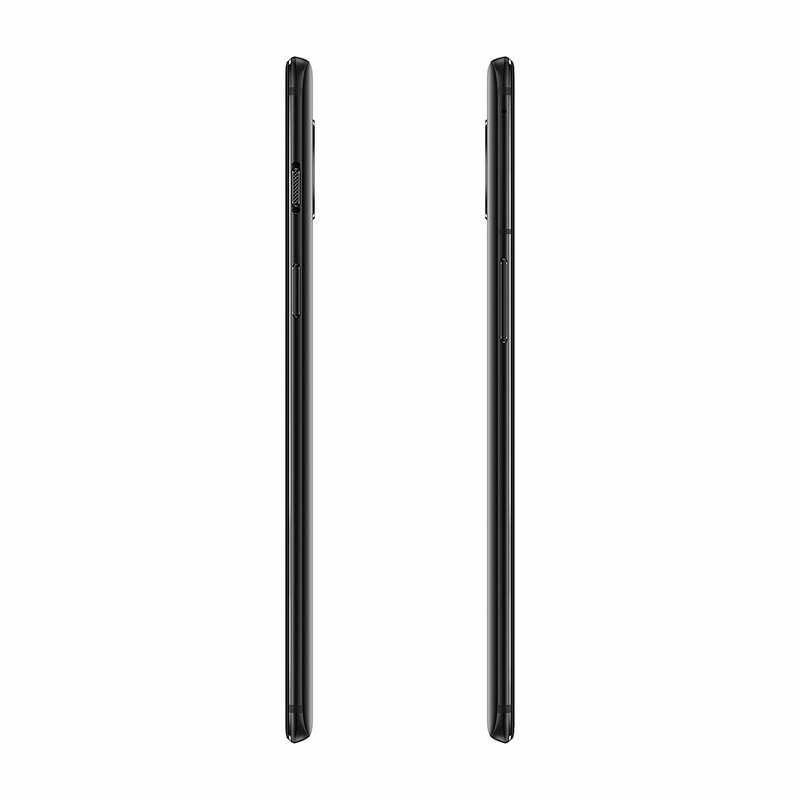 The phone has a 19:9 display on the front, thanks to the notch on top. Yes, it is yet another phone that is launching this year with a notch design. Since the display on the phone isn’t folded at the bottom as on the iPhone X, the phone has a bottom bezel that is considerably bigger. 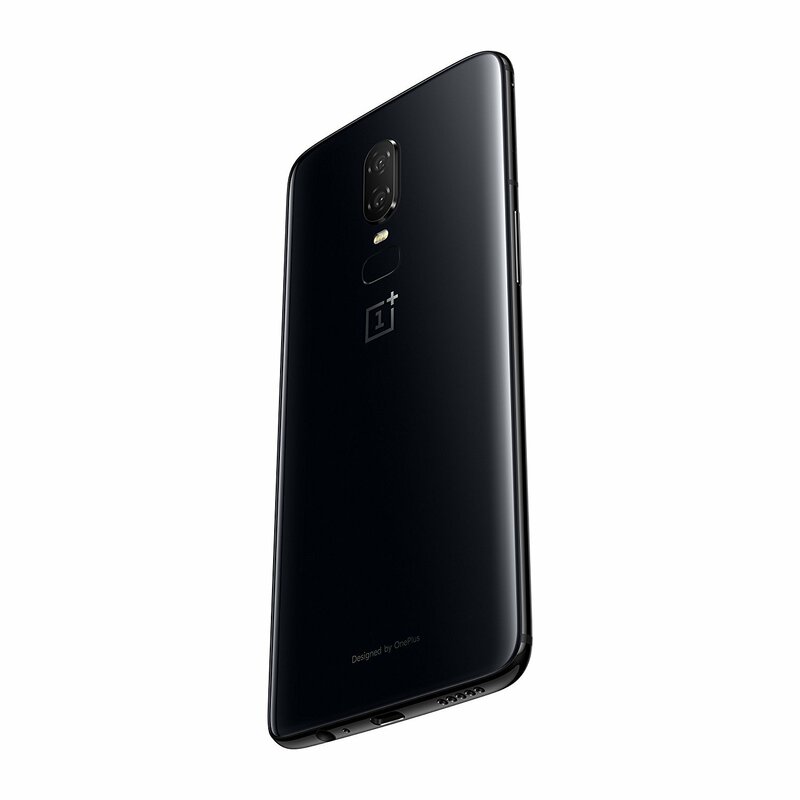 On the rear, the device has a camera setup designed similar to the one on Galaxy S9 and S9+ There is a vertical dual camera setup in the middle and below that is the fingerprint scanner. This time, the fingerprint scanner isn’t round, and the oval fingerprint scanner seems perfect as it matches the design of camera setup. 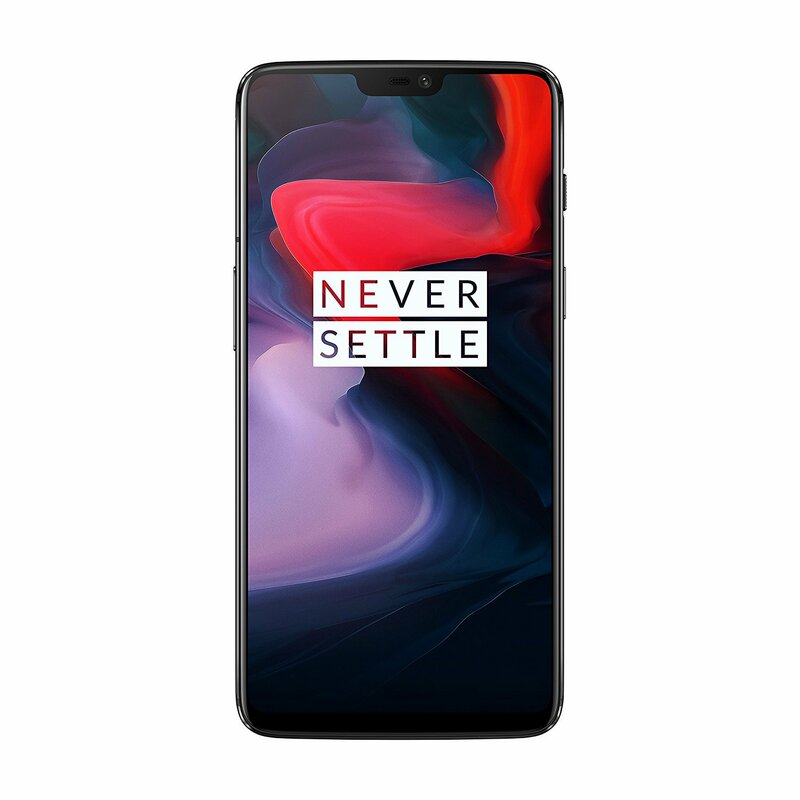 The OnePlus logo sits below the fingerprint reader, and there is also ‘Designed by OnePlus’ printed on the bottom. Other design changes include a change in the position of the alert slider. 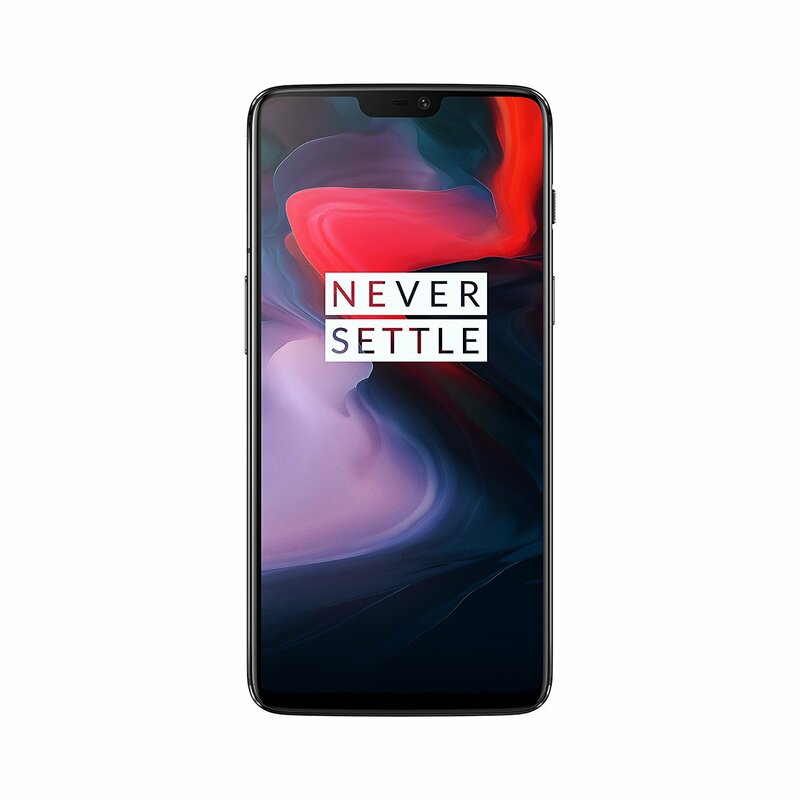 For some reasons, OnePlus decided to put it on the right side, just above the power button. The volume rockers, therefore, are now on the left. The headphone jack is still present and is placed on the bottom, along with the USB Type-C port and the speaker grill. 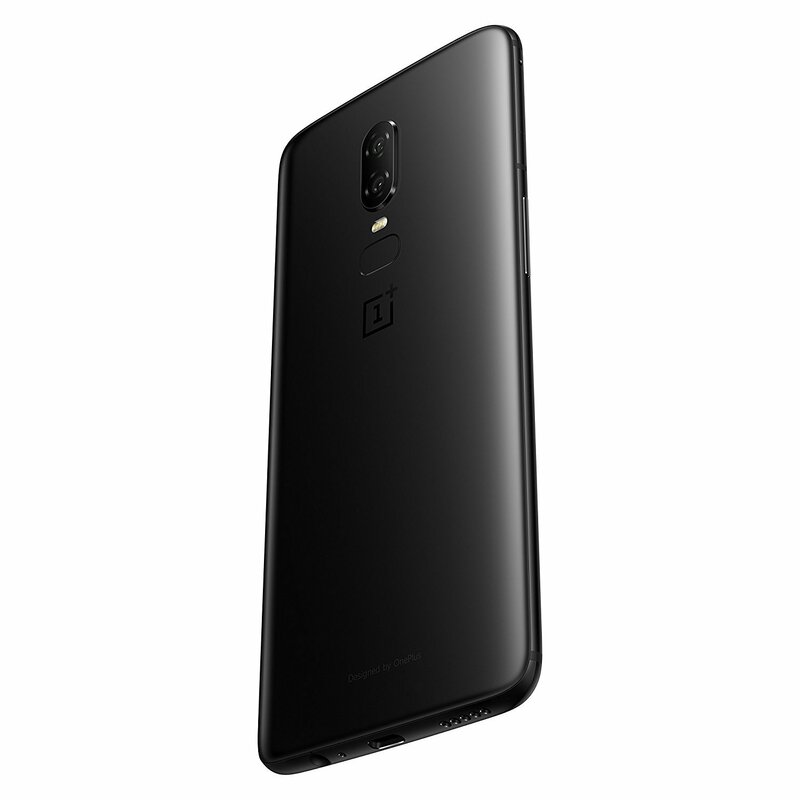 The phone looks beautiful, especially the Mirror Black variant. The Amazon Page did reveal the specifications as well. 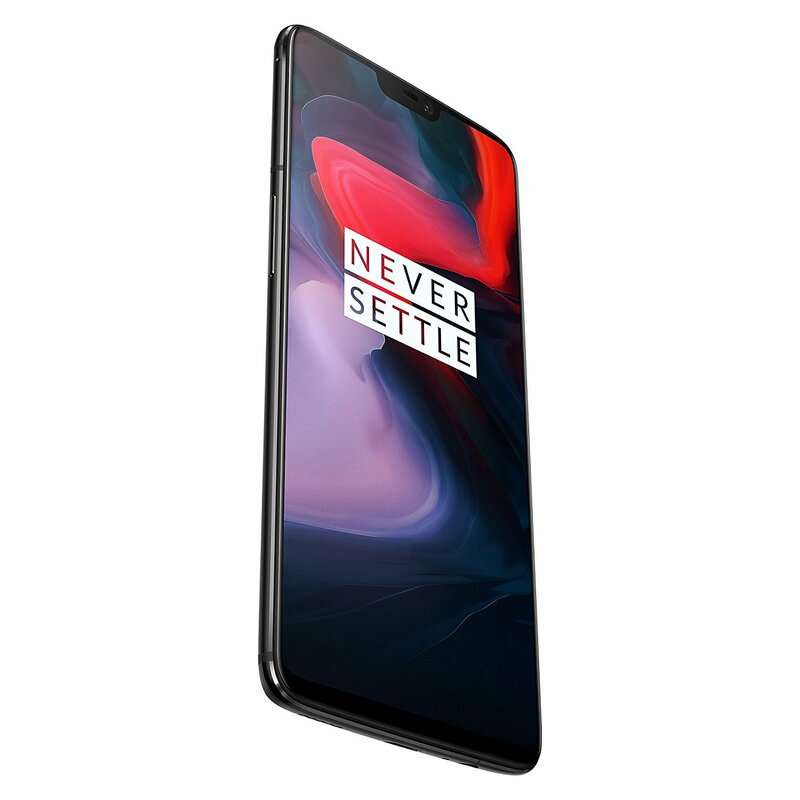 So, the OnePlus 6 has a 6.28-inch Optic AMOLED display with a Full-HD+ resolution (2280×1080) and hence a 19:9 aspect ratio. The display has Corning Gorilla Glass 5 and the same as present on the rear if we talk about the Mirror Black variant with a glass back. 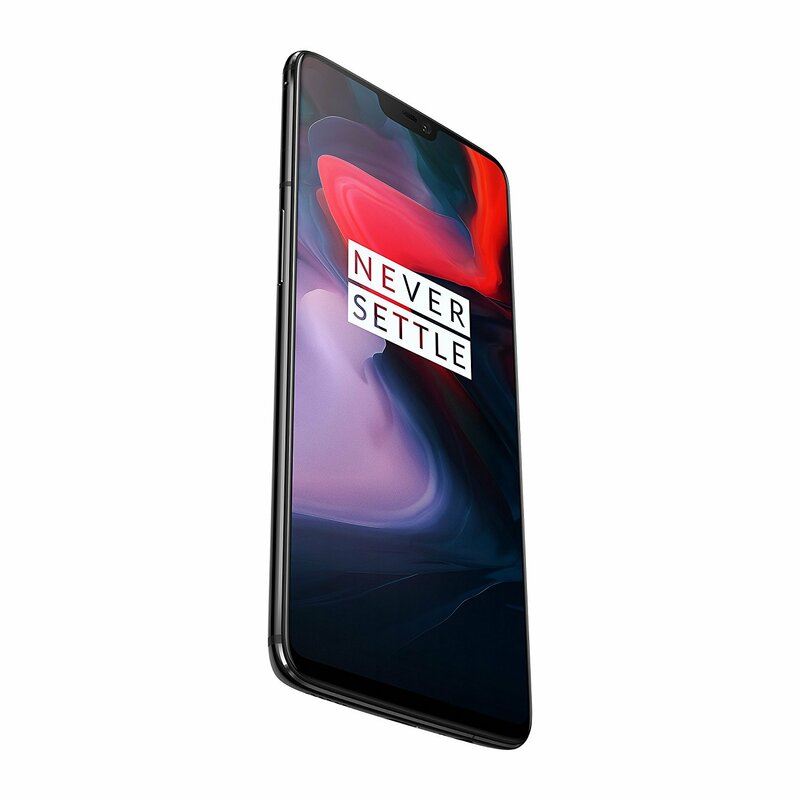 As we know, the Octa-Core Snapdragon 845 processor powers the device along with 6/8GB RAM and 64/128GB internal storage. 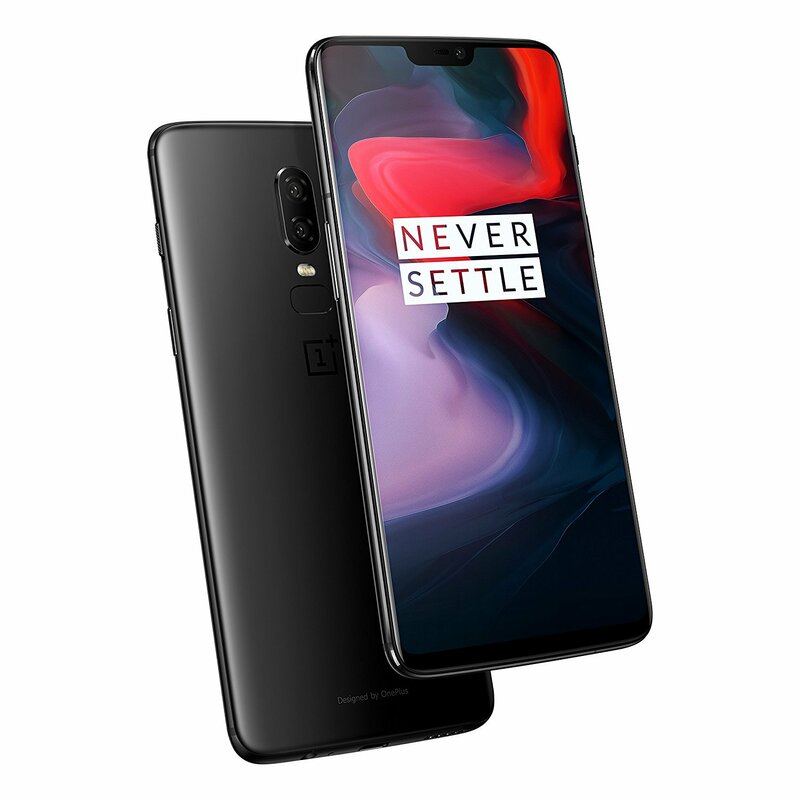 OnePlus has officially confirmed that there is going to be a 256GB ROM variant too. Talking about the cameras, there is a dual rear camera setup that features 16MP + 20MP sensors. Some of the camera features include OIS, Portrait Mode, Super Slow Motion etc. There is no information about the battery on Amazon, but as per the rumours, the battery size is the same as the previous generation, i.e., a 3,300mAh unit with Dash Charging support. Amazon mentioned that the phone is Water Repellent, but there is no information about the IP rating. It could be IP67 or IP68, but there is no confirmation yet. Finally, Android 8.1 Oreo runs out of the box with the Oxygen OS on top. As we saw in the Google I/O, it is one of the few phones that is getting Android P Beta. As for the pricing, the phone is going to be priced at €519 ($620) for the 64GB variant and €569 ($680) for the 128GB variant. We cannot say that the pricing will remain the same for other markets too as the European pricing is always higher than other markets like the US, India etc.